Industries dealing with solids handling, like food, pharmaceuticals and chemicals, must now use hazardous area motors, like the oil and gas industries have for many years. Combustible dust can be just as explosive as gas and needs to be treated accordingly. These days, dust is classed as a hazardous atmosphere, on par with hazardous areas with combustible gas. For instance, in the food industry, substances such as grain, cereal, sugar, flour and milk powder are classed as hazardous when they are in the form of dust. Essentially, any combustible material can be highly volatile when reduced to dust. As dust, materials have an extremely large surface area and can burn rapidly. Under some conditions, this can cause an explosion with very high energy. Since 2006, hazardous areas with dust come under the ATEX regulations that control installations in hazardous areas. Areas with dust are classified the same way as hazardous areas with gas and equipment is selected on the same basis. But while users in the chemical, oil and gas sectors have been dealing with hazardous atmospheres for decades, this is a fairly new field for many other industry sectors. In Group ll, ATEX defines categories of equipment, specified by their protection characteristics. It also designates the hazardous zones they can be used in. Hazardous areas are divided into three zones. Motors for areas with hazardous dust are known as Dust Ignition Proof or DIP motors, alternatively Ex tD motors. These are used in atmospheres where explosive dust surrounds the motor, or where dust settles under its own weight on the motor. They are designed for Zones 21 and 22; no motors can be used in Zone 20 or Zone 0. Dust is measured either as a cloud of dust or a layer of dust. The ignition temperatures for various types of dust can be obtained from commercially available reference tables. The ignition temperature for a cloud of dust must be at least 50% above the motor’s marking temperature. The ignition temperature of a 5mm layer of dust must be 75°C above the marking temperature of the motor. It is the responsibility of the user to stage maintenance periods so that the dust layer does not build up above 5mm. To decide whether hazardous area motors are needed, the ATEX regulations requires users to draw up an Explosion Protection Document, assessing each area of the plant for hazardous gas or dust and dividing the plant into zones. An area can be declared safe only as the result of a risk assessment. Once the plant is correctly divided into zones, the appropriate equipment for each zone can be selected. It may be tempting to try and simplify the process by using a blanket zone to cover the entire site but this could be a mistake. More expensive, over-protected equipment will have to be bought, installed and inspected. The use of over-specified equipment can have long-term financial implications, as the maintenance and repair obligations under ATEX depend on the category of equipment. Blanket zoning also raises a suspicion that the risk analysis may not have been carried out in sufficient detail. ATEX 95, the product directive, and ATEX 137, the worker protection directive, cover any electrical or mechanical product or equipment that constitutes a potential source of ignition risk and which requires a special design or installation procedure to prevent an explosion. The Product Directive, ATEX 95, concentrates on the responsibilities of the equipment manufacturer. The directive draws up the distinction between the duties of the end-user, which include the definition of the Zones, and those of the manufacturer, who will be concerned with meeting the category requirements rather than the zones. The Worker Protection Directive, ATEX 137, concentrates on the duties of the end-user. The directive requires a consistent assessment of all measures to prevent risks of explosions and injury to people both inside and outside the plant. Safe operation of the product or equipment is the result of cooperation between the manufacturer, the end-user and, if involved, the contractor. However, the responsibility for explosion protection of the product or equipment can never be contracted out to a third party. 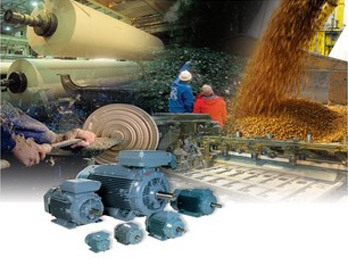 While the end-user is responsible for installation of products and equipment, the motor manufacturer is responsible for safety of the motors and for delivering maintenance and installation instructions. With responsibility divided up this way, responsibility for explosion safety rests squarely with either the equipment manufacturer or the end user. Nobody else can be held responsible. The manufacturer is responsible for the equipment being safe when it leaves the factory. The end user is responsible for ensuring that it is installed, maintained and operated in such a way that it does not pose a danger of explosion. Employers are responsible for the actions of employees and suppliers. ATEX does allow outsourcing, but the end user is responsible for the quality and the end result of such work, for instance maintenance work. When equipment is to be repaired, the end user is responsible for selecting an appropriate repair shop. Ex motors can be repaired or rewound, but this should only be done at an approved workshop. Repairs can be carried out either to IEC guidelines or to the manufacturer’s guidelines. If it is carried out to the manufacturers’ guidelines, all warranties and original documents continue to be valid. If not, it is the end user’s responsibility to ensure that the repair job is satisfactory. At the moment, ABB is the only manufacturer to offer certified premises for hazardous area motor repairs. Variable speed drives can be used with hazardous area motors but certain considerations need to be kept in mind. For example, a variable speed drive may create extra losses inside the motor, because of its voltage-pulse based waveform, which is different to the sinusoidal waveform produced by the 50 Hz network. Also, the air cooling of the motor will be affected by the speed of its fan. The drive can also be the source of other undesirable side-effects, which can include reduced motor insulation life, electromagnetic interference and bearing currents. These are effects that can be prevented and for hazardous area duty, such prevention is essential. 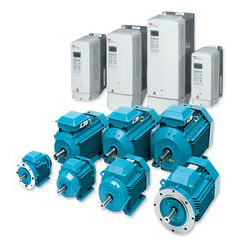 An ATEX compliant drive system – including motors, sensors, cabling, filters etc – should be treated as a unit. The drive affects the motor performance and the motor affects the choice of drive. Matching your own motor/drive combination can be both time-consuming and difficult. Some manufacturers can supply a ready-made solution, with combined ATEX-approved drives and motors. The decision on whether you need to employ hazardous area motors for dust depends on the results of a risk assessment. First of all, you will need to identify and assess fire and explosion risks of dangerous substances. Keeping working areas clean and dust free, particularly near potential ignition sources, will go a long way to reducing risks, but the best advice is to employ a professional consultant. With relevant assistance, you will be able to assess the different areas of the plant, work out the zones and draw up detailed design documentation and inspection schedules for the plant. You will then need to eliminate or reduce the risks from the use of these substances as much as possible. This could help make the hazardous area smaller, reducing safety risks as well as the costs. ‘Equipment for use in the presence of combustible dust’. One deciding factor is the type of dust, but a host of other factors also play their roles, such as particle size, moisture content and how the dust is formed.